There’s nothing quite like an ‘unsupervised’ test drive. 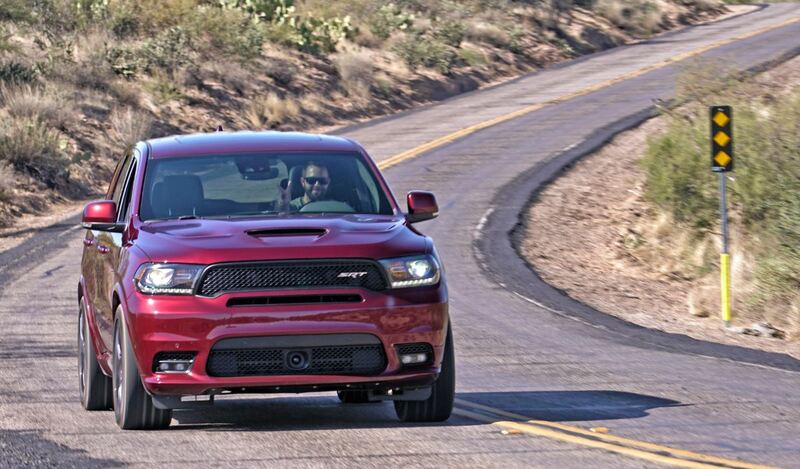 When I took off from home base yesterday in the 2017 Dodge Durango SRT with its 475-horsepower, 6.4-liter Hemi V8, I was grinning from ear to ear. Fiat-Chrysler representative Scott Brown had just unlocked the beast’s full potential for me just moments before by teaching me how to put it in “Sport” mode. Who knew that a 5,300-pound, 3-row luxury SUV could have a sporty side at all? I can assure you, it does. And I’m sure everyone within a mile radius heard me, too. The exhaust note belched like a muscle car. 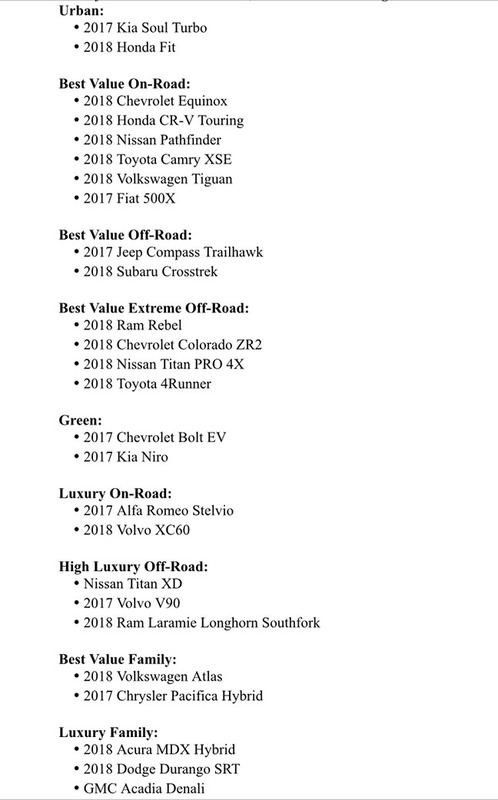 Each fall, automotive journalists and athletes get together to put about two dozen or more new vehicles through their paces and select winners in 9 categories. 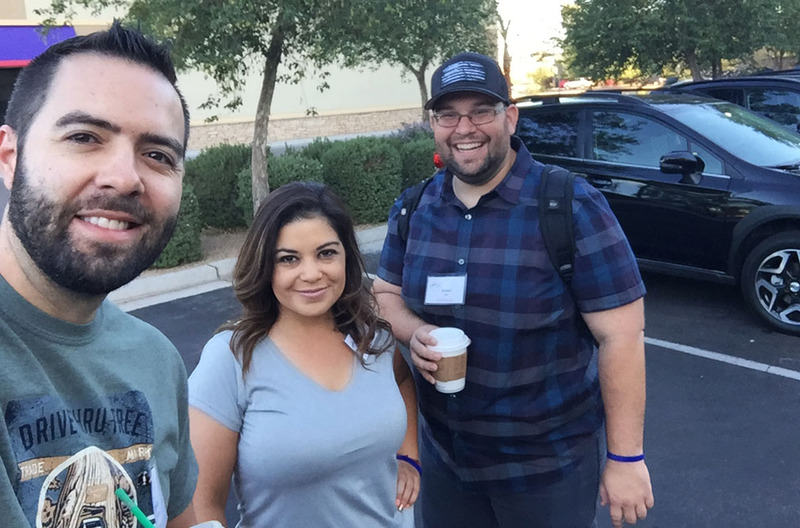 This year was ALV’s 14th, based at the Hilton Phoenix-Chandler and taking place on Friday, October 20th. There are so many “car of the year” programs around the country, but this one positions itself a little differently: ALV hones in on the opinions of people who have special and more demanding needs for their vehicles – namely, athletes and outdoorsy types. Bicycle-hauling capability, then, among many other criteria, is one of the things that each registered vehicle is evaluated based upon. 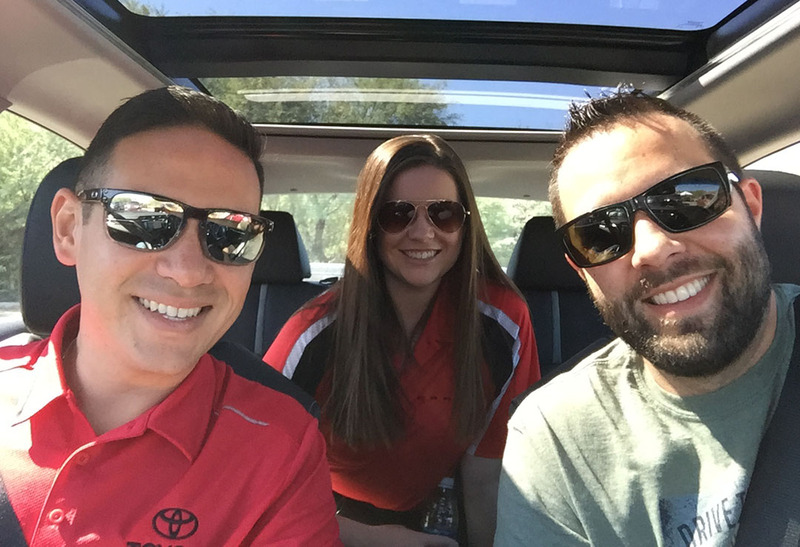 Things got underway on Thursday night with a dinner at Crust Pizzeria in downtown Chandler, sponsored by Toyota. 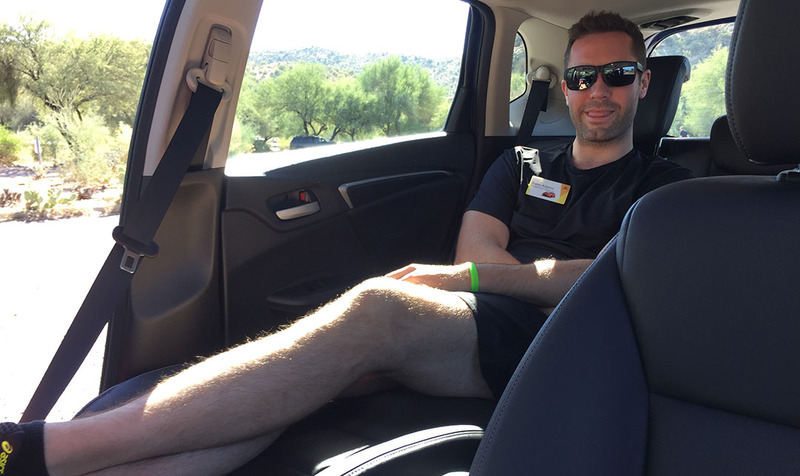 Friday was a full day of automotive action, with both on- and off-road drive routes available to give attendees a chance to put the vehicles through their paces. 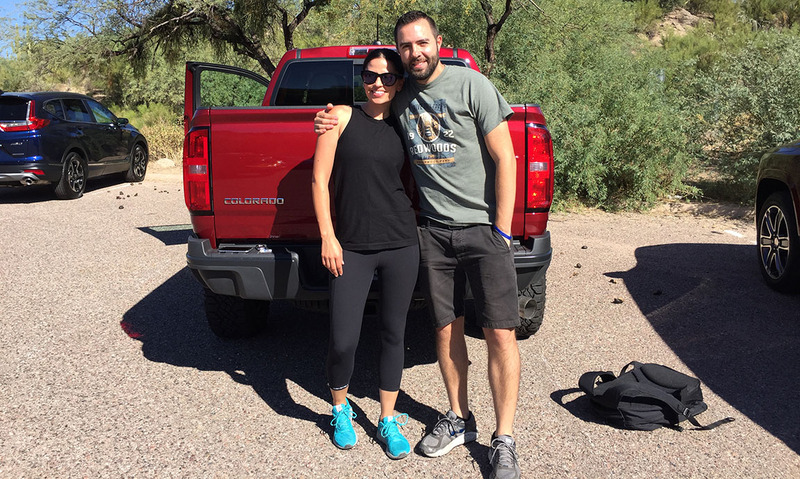 The Butcher Jones Recreation Area, near the banks of Saguaro Lake, offered a perfect setting with multiple types of terrain to demonstrate each vehicle’s unique handling capabilities. I drove there in a 2017 Honda Fit, the bright blue “jellybean” as Public Relations representative Davis Adams called it. Nicely equipped for $22,000, the Fit was a delightful little ride with a versatile interior, which is probably what pushed it to the winner’s circle when it was voted the best entry in the Urban category. See all that leg room he has? Lounge ready! Sometimes, though, the joy in the event wasn’t just talking tech specs with the manufacturer representatives, but rather getting to know them better. 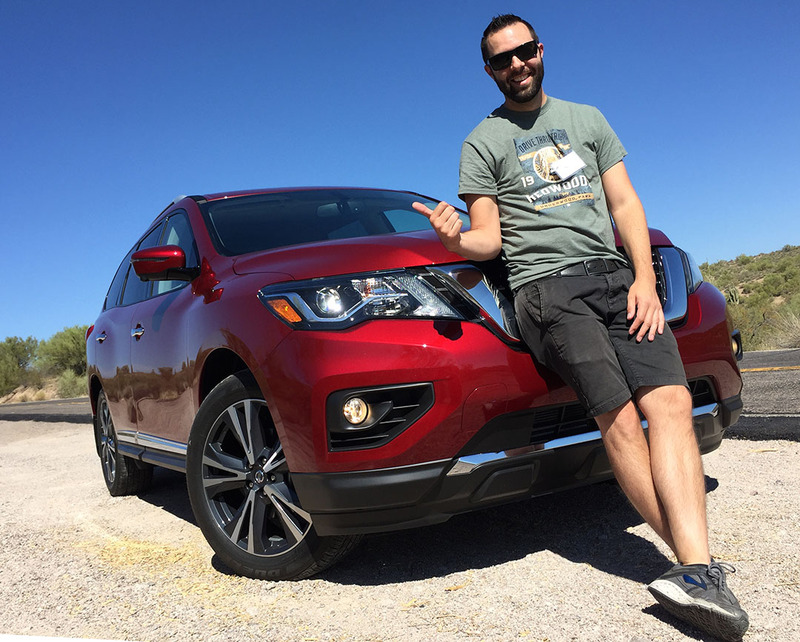 Nissan Public Relations’ Jannelle Grigsby, fresh in from LA, rocked out with me to SiriusXM radio station “BPM” at full blast, moonroof open and windows down in the newly refreshed 2018 Pathfinder. 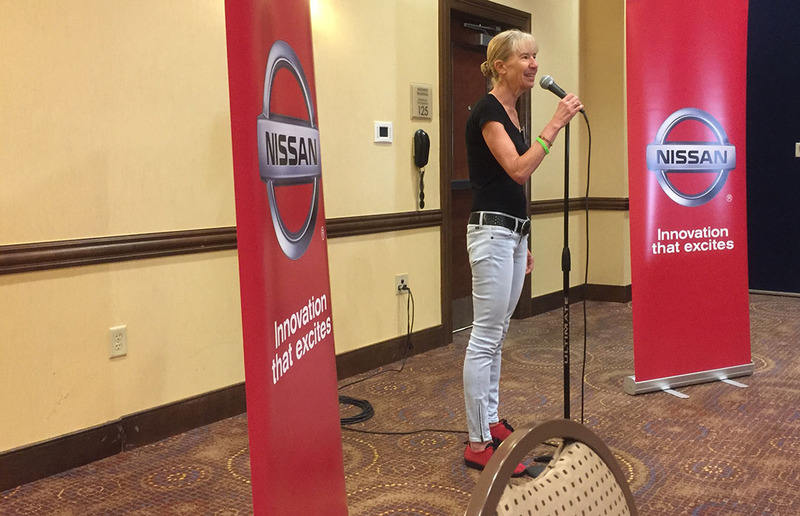 It was great to get to know Jannelle and the many others who came out to teach us about what sets their brand’s vehicles apart from the competition. Jannelle’s Titan took home an award in an off-road category. Taking my drive loops up the Bush Highway, I cycled in and out of vehicles throughout the day, driving 17 of the entered 27 in total. I had my faves, for sure. 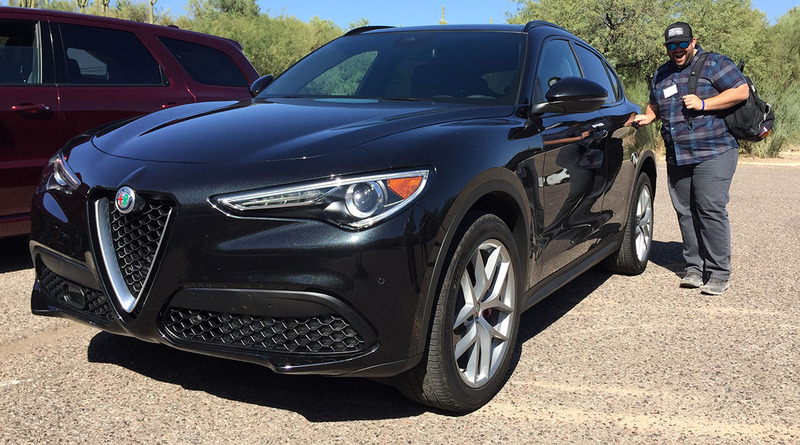 The new Alfa Romeo Stelvio had incredible pick-up for a 4 cylinder SUV. The Chrysler Pacifica Hybrid, though dressed in minivan sheetmetal, is an absolute riot to drive thanks to its torquey powertrain. The Volvo XC60 had the best audio system in the whole group, made by Bowers & Wilkins. 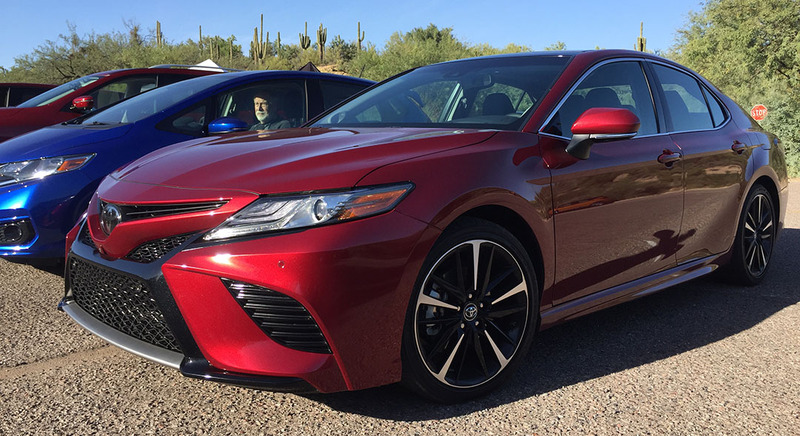 And as much of a Honda guy as I am, the 2018 Camry XSE V6 absolutely knocked my socks off. It feels like so much car for $36,000. It’s also sporty looking, fast, and loaded with tech features you’d expect to see on a luxury car. I haven’t yet driven the newest Honda Accord but the Camry is fighting hard for its position in the very competitive midsize sedan market segment. Representative Chad Moore was understandably very proud of what Toyota’s engineers have achieved. We were privileged to be in the presence of several elite athletes who cast their votes as well. 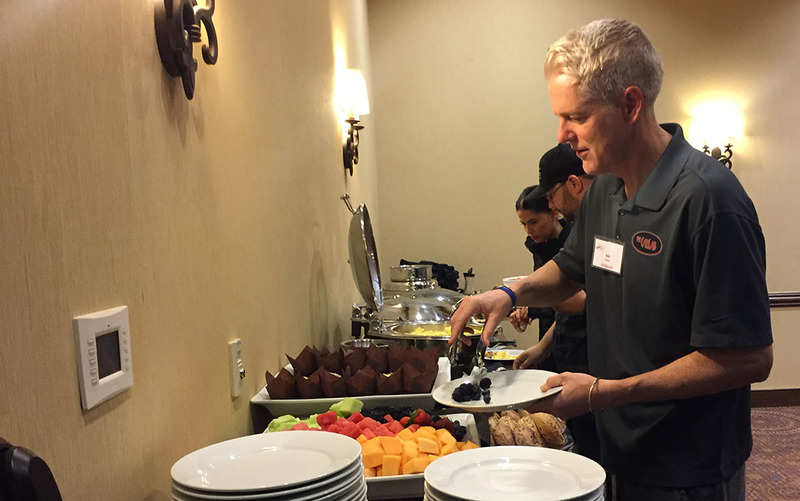 Triathlete Lewis Elliot and retired NFL player Mark Walczak participated in the day’s events to contribute their athletic perspective. At the conclusion of our driving day at 4:00 p.m., I drove the Chevy Equinox back to the Hilton. It was a super comfortable and easy vehicle to commute around in. Volkswagen, which had brought out the Tiguan and Atlas, satisfied our afternoon snack cravings with refreshments back at the hotel, and then Kia capped off the night by sponsoring a poolside cocktail hour and dinner. 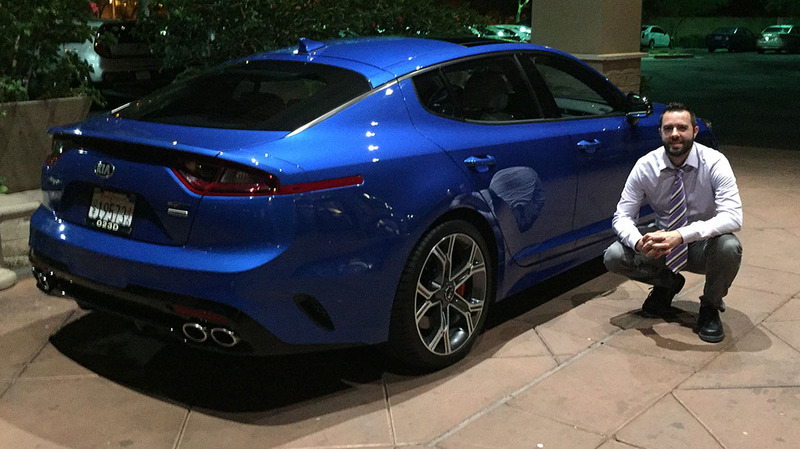 We got an up close look at the all-new Kia Stinger sedan, glistening in blue paint and drawing a crowd outside from hotel guests who weren’t even part of our program. James seems to like the Stelvio! 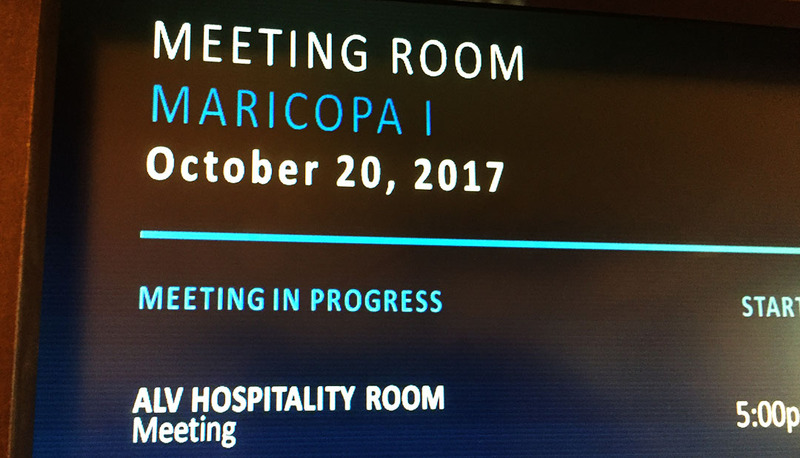 This entry was posted on October 21, 2017 at 7:23 pm and is filed under Arizona, PAPA, Vehicle Reviews. You can follow any responses to this entry through the RSS 2.0 feed. You can leave a response, or trackback from your own site. I called it on that Camry when i saw one here in town in June. . . can’t ignore mama’s Camry any more! That’s for sure. Makes me all the more excited to see how Honda and Nissan are fighting back. The bar is getting raised and it’s us, the consumers, who benefit. I’ve enjoyed your previous ALV posts, and this year is no different. The Camry is surprisingly eye-catching, and that Alfa Romeo might be one of the nicest looking crossovers I’ve ever seen. Did you get a chance to drive the 2018 Subaru Crosstrek? Despite switching back to Honda, I still have a soft spot for that brand. The Alfa definitely has a unique face, and perhaps that’s why I appreciate it – even if it’s not 100% my style. At least they’re trying something different. Today it seems like almost every crossover is cut from the same mold. I’m glad you mentioned Subaru because I wanted to mention it. I did not get a chance to drive that because it was over on the off-road portion of the event, and it took me the entire day just to get through all the on-road cars. I would like to try it sometime. I heard from our voting tabulation team that the margin by which the Compass beat the Crosstrek was mere decimal points. That definitely says something about how competent it is. We sure appreciated representative Jessica Tullman bringing it out. I mean, seriously! Is there any other look that could possibly be more gleeful! Giddy as a schoolgirl. Haha, enough said! You’re right – it’s fun to interact with the manufacturers and I definitely enjoyed putting all the vehicles through their paces. It’s too bad I didn’t make it over to the off-road area. 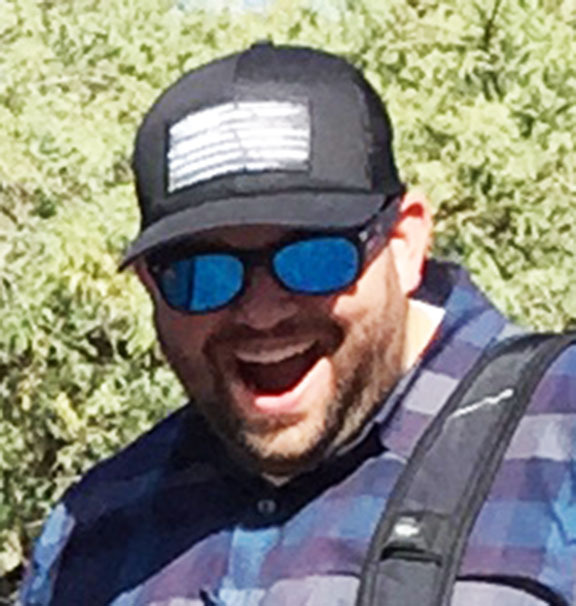 I’m excited to see what Nick Calderone comes up with from all his awesome drone footage over there. Unless I have a pressing need I think I’ll be staying with sedans for now unless Acura decides to develop an NSX CUV (and I win the lottery). As blasphemous as that sounds the precedent was set when Porsch jumped in with the Cayman now almost every high end car maker can’t wait to jump in. I’m with you. I don’t have the frequent need for a high clearance or cargo-carrying vehicle. Single guy, no kids, just the occasional water cooler I need to carry in the backseat of my 1994 Vigor! But it’s a big money maker for sure. The CUV segment craze reminds me of the early-mid 90’s when everyone wanted to get into the SUV game. Honda was in such a rush that it borrowed designs from Isuzu (Rodeo = Passport, Trooper = SLX). Eye roll. In fact if I remember correctly Isuzu was rolling those Honda/Acura versions down the same assembly line in Indiana and swapping some badges and trim. They had a recipriocal arrangement as Honda was rebadging some 1st Gen Odysseys as Isuzu Oasis models. Guess who was getting the better end of that deal? A few days (or weeks) late to the gate, thought I’d pop back through your happenings the last few weeks. 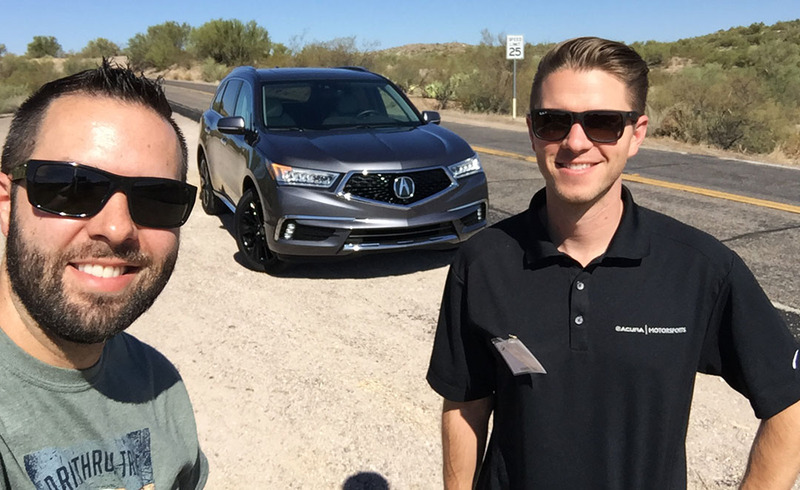 Congratulations to both you & Josh for that MASSIVE milestone achievement in your Acuras! That Kia Stinger looks pretty good in every photo I’ve seen so far, can’t wait to see one in real life. Hope all is well with you, looking forward to your next post. Cheers Adam. Thanks Adam for reading, and for the congrats! Josh and I definitely worked hard on getting things coordinated for that milestone. I look forward to your next blog entry as well!